1.2 The project would require a start up capital of N269800 made up of N 139800 for fixed assets and N 130,000 for working capital. 1.3 The enterprises vision is to be the only upscale old-world womens hairdressing shop that offers today’s progressive woman a place she can sit back, relax and experience the “World Class” art of grooming and services in a woman’s club atmosphere, which is feminine and therapeutic. 1.4 The project will be located at Damija Trans Ekulu Enugu because of its easy access to target market from that location. 1.5 A huge market is available for the business to serve. 1.6 The financial projections show that the project would overcome all financial instability by the time it matures. The revenue figures stand at N1, 564,000, 1540800, 1570200 for year 1, year 2 and year 3 respectively. Also the profits after tax: 620,000, 2025000, and 2450000 for years 1, 2, 3 respectively. The cash flow position is equally good and encouraging by the second year through the third year. 1.7 The competitive edge of the enterprise is based on its ability to offer a combination of “World Class Services” not currently being offered by any competitor in the area. The planned womens’ salon project is the result of a strong need of a comfortable environment where working class women can go in to have their hair styled and maintained, pedicure and manicure, massage etc without having to go far. After studying the environment, it was discovered that breaks in-between work was of a short duration and so was inconvenient for women to take a long trip to relaxation centres. This enterprise is aimed at establishing the most highly sought after salons in the whole of Enugu with Damija Trans Ekulu the starting point. My goal, beyond establishing a profitable business, is to render trusted and reliable services to the clients in to the most affordable and attainable comfort. Adding tremendous value and colour to our community through the provision of quality, attractive and comfortable hair styles in vogue. Following the trend gives women a sense of belonging and increases their self esteem Quincy beauty salon will provide a comforting, yet stimulating, old world woman’s club atmosphere in which customers will be able to relax both their body and mind, through a wide range of services. Quincy will establish itself as a world class service provider to which clients can always come to. The business is a sole proprietorship wholly owned and managed by Ibegbute Edelquinn Chinemerem. Quincy beauty Salon is a privately owned business enterprise owned by Ibegbute Edelquinn Chinemerem who has one year experience in hair dressing. Hair: Cut and style, one step hair colour, highlights, toner, corrective colour, hair and scalp treatments. Shoe shine: shoe shine services in the waiting room or while services are being performed. PRODUCTS: Nail fixing, hair care, skin care, and other accessories exclusively for women. Location: Providing an easily accessible location for clients. Reputation: Reputation of the owner and staff as providing superior personal services. Based on location survey it was discovered that the neighbourhood which is crowded with working class ladies and personalities of timber and caliber needs a relaxation centre with style and class which would be a means of having certain services which cant be available to them within their work environment. With few eateries around and the provision of meals to most offices, break hours would be well utilised by easing away necessary stress and possibly having their hairdo and massages. Also, there’s Klean hairdressing salon which due to their location, they have a very small area and also have no parking space. They offer same services but cant compete because they can only attend to 3 women at a time as against 5 customers at a time offered by us due to large space and employees etc. Check in at the receptionist and give full detail of services needed. Move over to cashiers desk to present the services as documented by receptionist who in turn gives you a detailed breakdown of all services documented down and as well your total fee. He also gives you a card with a number directing you to the stylist you’ll meet who is free at the moment. If none is free, you proceed to the waiting room but will be notified as soon as there’s a free spot. Have your services rendered to you as you want it. Forward the card to cashiers desk through one of the attendants and proceed to the relaxation room if you want to for free but can spend a maximum of 15mins. 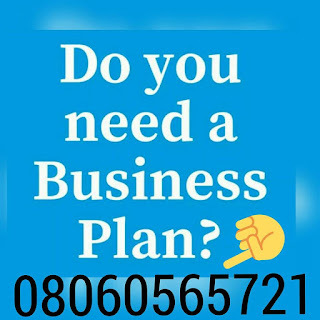 After payment text your names, your e-mail address and what you paid for to 08060565721 and you’ll receive your HAIRDRESSING BUSINESS PLAN IN NIGERIA PROPOSAL.